Kuching is the capital and the most populated city in the Sarawak state in eastern Malaysia. The visually stunning city is situated on the banks of the Sarawak river on the most southwest point of the Sarawak state and is the largest city on the island of Borneo. There are around 600,000 inhabitants in Kuching and it’s still growing. Known as the “Cat City”, Kuching has a reputation for being the cleanest, safest and most organized city in Malaysia. Not surprisingly, there are various statues of cats scattered around the city (Kuching meaning cat in Malay). If you’re a cat person- this is the place to be as you can find cat t-shirts, ornaments and everything- cat one could imagine. The city is cute and compact with many sights to see and super easy to get around. Kuching is also a cultural melting pot with many ethnicities (around 30) speaking a variety of different languages. Malay, Hokkien and Cantonese are the most common languages heard, but most people speak impressive English. Therefore, expats and tourists find getting around and fitting in a piece of cake. There is also a mixture of religions in the area so there are many cultures diversifying the city making it an exciting place to learn and grow. In Kuching, there a variety of houses and luxury property available. 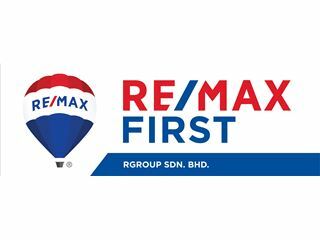 The most expensive condominiums are extremely modern and located near shopping malls or along the Sarawak river. Over 50% of the residential property in Kuching are semi-detached houses and bungalows which is substantially more than in any other Malaysian city. The less expensive properties are located in less central areas of the city but public transport makes it easy for those who live on the outskirts to get to the centre hassle-free. The property prices in Kuching are relatively low compared to other Malaysian cities. Expect an awakening cultural and historical experience in Kuching as there are many sights on offer, for example, the heavily Chinese-influenced stunning architecture, the breathtaking tropical scenery in and around Kuching and the most amazing thing- the diverse open-minded people living side by side in harmony. Kuching is very proud of being one of the most multi- cultural places in Malaysia containing very friendly and easy-going locals and tourists. It’s fascinating to see the historically rich building and how all different races live in peace. There are multi-racial marriages and school which show how progressive and accepting the city really is. Many cities claim that race is not an issue but in reality it is. In Kuching, one can see by the mixing of nationalities that race or nationality doesn’t matter. Living in Kuching, people learn all about the Brunei empire and how it moulded Sarawak, visitors find out about the how the state was occupied by the Japanese in WW2 and how the city survived and prospered. It has a colourful history that is as exciting as reading a best-selling novel. There are a variety of museums to explore and enjoy Kuching’s magical history and culture. Expect to see fine architectural gems and vibrant streets filled with traditional markets. Expats, locals and visitors can live out their shopping dreams in Kuching as there are various shopping malls to suit everyone. There are also a variety of flea markets offering cheaper goods. There are a huge and mouth-watering variety of tropical fruits and vegetables on display in different markets and stores at very low prices. One will certainly reach the goal of 5 fruits and veggies a day with the tasty abundance of locally-sourced healthy foods. Dig-in and devour the delicacies on offer in Kuching, this is the place in Malaysia to be if you have a passion for gastronomy. Kick off the day with a piping hot bowl of Sarawak Laksa- a medley of prawns, chicken and bean sprouts is a delicious broth. Or indulge in a lush lunch at Lunch - Kopi O Corner where they have a variety of Sarawakian dishes that would wet anyone’s appetite. The most popular dish and a must-try is the beef prata roll with chilli sauce, black pepper sauce and mayonnaise drizzled over the top. There are a plethora of sleek and sophisticated restaurants in Kuching and chill-out cafes too. Kuching International Airport (IATA: KCH) is Sarawak's airport. There are hourly flights to and from Kuala Lumpur and there are also many flights to other cities in Malaysia and Singapore. The international flights to and from KCH are limited, usually only to and from Guangzhou Or Hong Kong. The journey from the airport to Kuching city is approximately 20 minutes by taxi and there other mini-buses and bus services to go to the city also. There is a wide array of different transportation in Kuching, there are many bus services that go in and around Kuching, taxis, leisurely boat taxis, car hires and of course, bicycles. Bicycling is the best way to enjoy Kuching’s sights and sounds- it’s great way to get to know the inner-workings of the city. Kuching is well-known for its good public transport and easy accessibility. There are a wide variety of preschools, primary schools and secondary schools in Kuching and many prestigious boarding schools. There is only one public university in Kuching and two private universities: the Swinburne University of Technology Sarawak Campus and the UCSI University, Sarawak Campus. There also many well-established colleges and two international schools: Tunku Putra International School and Lodge International School. There is a mixture of public and private schools in the area catering to all needs. 1.The Sarawak State Museum- the museum educates visitors about the indigenous people of Sarawak. It’s considered the best museum in Asia, the top thing to do in the city and Kuching’s oldest building. 2. Sit back with a beer at sunset- chill out by the waterfront in one of the many cafes, bars, club or restaurants and watch the exotic sunset. Like New York, Kuching doesn’t like to sleep. 3. Kayak tours- immersed in trees and wildlife visitors can take in the marvellous sights and sounds of Kuching’s nature. 4. Kuching Mosque- take a walk around the spectacular-looking mosque which glistens in the sun. 5. Semenggoh Nature Reserve- plunge into the rainforest and meet different types of Orang-utans and other species. Take some unforgettable pictures and see some priceless views. Tip: take an early bus to have a full-day experience. 6. Visit idyllic beaches (Lundu)- Lundu is a sleepy place where visitors enjoy serene beaches and nature. It’s only 2 hours away from Kuching and is ideal for a peaceful getaway from the city life. 7. Vacation to different countries easily- For travel lovers, Kuching is in a great location because visiting Indonesia, Singapore or Thailand is very easy, quick and inexpensive. Spectacular views and experiences in other Asian countries are made so relaxed when living or visiting Kuching.